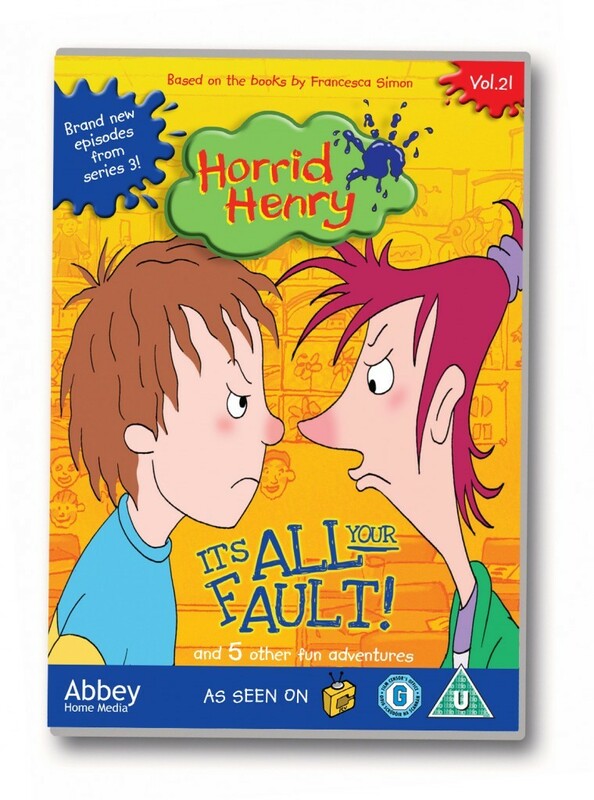 Thanks to the lovely folks over at Abbey Home Media, I have three copies of the new Horrid Henry – It’s All Your Fault* DVD up for grabs! Horrid Henry It’s All Your Fault – Horrid Henry’s convinced that it’s not his fault, even when it is! Horrid Henry In Detention – Horrid Henry lands everyone in detention, but will he manage to get them all out again in time for that all important football match? Horrid Henry Nothing But The Truth – Perfect Peter’s had enough and he’s ready to spill the beans, big time! Horrid Henry Horrid Boy? – When Dad offers to do Horrid Henry’s homework for him, Horrid Henry knows there’s something going on, but he can’t quite work out what it is. Horrid Henry Delivers The Milk – One horrid move too far and Horrid Henry finds he’s got a new job, which means getting up very early indeed! Horrid Henry And The New Best Friend – Horrid Henry gets himself a new best friend, but it’s not long before Nice Nicola turns into Nasty Nicola, and things go from bad to worse. I would give it to my son he loves it!